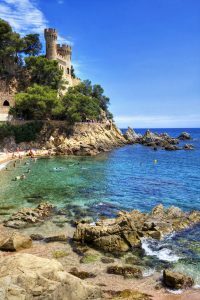 One of the biggest perks unique to the Barcelona region is the fact that there are dozens of beaches available either within walking distance or just a short train ride away in the Costa Brava region, the area north of Barcelona. Each beach offers a different experience, and summer is the perfect opportunity to discover what experiences the gorgeous Mediterranean shoreline can provide for you. Cabrera de Mar is a lovely town with some of the prettiest beaches you can imagine. While you’re there, you can even visit the Castell de Burriac or try your hand at surf lessons! Canyelles offers a quiet beach surrounded by cliffs that are covered in Spanish pine trees. This beach typically remains less crowded than other beaches in Catalonia if you’re looking for your own semi-private getaway. Platja d’Aro is perfect if you’re looking for a more lively vacation. Come check out the surrounding shopping opportunities, food experiences, and festivals. It is a perfect beach if you’re looking for different activities, from relaxing on the beach to dancing at a local festival. 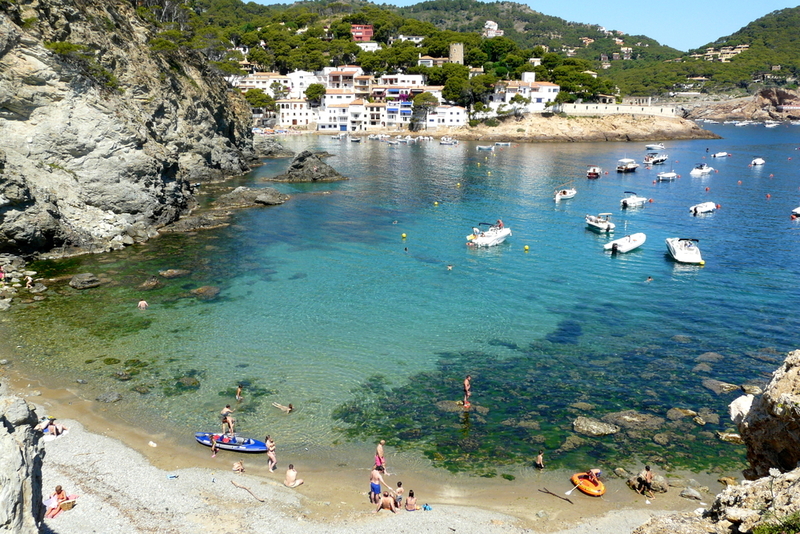 Sant Pol de Mar is another beach with waters so clear that you can see your feet beneath the tide. One of the most secret beaches in Costa Brava, a trip to these crystal waters are guaranteed to provide a truly regenerating experience. 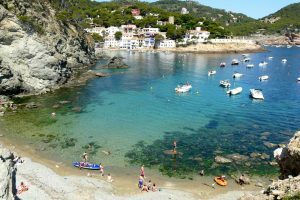 This is just a taste of all the beach experiences Costa Brava has to offer. Make plans to come and check out your favorite one during your holiday. After all, life’s a beach! If one of these beaches sparks your interest, you’ll be happy to know that we at Catalunya Casas have properties in all of these beaches! Feel free to send us a message via our website. Make August memories with some of Barcelona’s best festivals!